For his son, the computer scientist, see George Coulouris (computer scientist). Coulouris was born in Manchester, Lancashire, England, the son of Abigail (née Redfern) and Nicholas Coulouris, a merchant of Greek origin. He was brought up both in Manchester and nearby Urmston and was educated at Manchester Grammar School. He attended London's Central School of Speech and Drama, in the company of fellow students Laurence Olivier and Peggy Ashcroft. 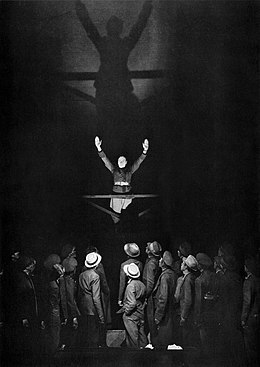 Coulouris made his stage debut in 1926 with Henry V at the Old Vic. By 1929, he made his first Broadway appearance, followed by his first Hollywood film role in 1933. A major impact on his life was Orson Welles, whom he met in 1936 when they both had roles in the Broadway production of Sidney Kingsley's Ten Million Ghosts. Welles invited Coulouris to become a charter member of his Mercury Theatre, and in 1937 Coulouris performed the role of Mark Antony in the company's debut production, Caesar, an innovative modern-dress production of Shakespeare's Julius Caesar. "Even 'Friends, Romans, countrymen' sounds on his tongue as if it were a rabble-rousing harangue he is uttering for the first time," noted John Mason Brown in the New York Post. In 1938, he appeared in the Mercury stage productions of The Shoemaker's Holiday and Heartbreak House, and became part of the repertory company that presented CBS Radio's The Mercury Theatre on the Air and its sponsored continuation, The Campbell Playhouse (1938–40). Also for CBS, in 1944 he starred in the radio series Suspense, in the episode "Portrait without a Face". In Citizen Kane (1941), Coulouris played Walter Parks Thatcher, a financier similar to J. P. Morgan. Coulouris and Welles each received a 1941 National Board of Review Award for their performances. Coulouris was the first actor to star in the title role of the Bulldog Drummond programme on the Mutual Broadcasting System. Coulouris returned to Britain after 1950, living first in Putney and later in Hampstead. He appeared in more films, theatre and television productions. 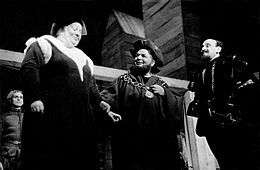 His stage work was the most well regarded and included the title role in King Lear at the Glasgow Citizens' Theatre (1952); the lead (Dr. Stockmann) in An Enemy of the People (1959) at the Arts Theatre, Cambridge; Peter Flynn in Seán O'Casey's The Plough and the Stars at the Mermaid Theatre (1962); a part in August Strindberg's The Dance of Death; and Big Daddy in Tennessee Williams's Cat on a Hot Tin Roof (1970). Later film roles included parts in The Heart of the Matter (1953), Doctor in the House (1954), Papillon (1973), Mahler and Murder on the Orient Express (both 1974). He had rare leading roles in the British horror movies The Man Without a Body (1957) and The Woman Eater (1958). 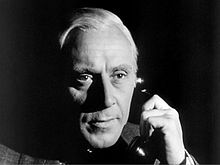 He played in over 80 films, but radio roles were also numerous, and his television roles included parts in Danger Man and The Prisoner ("Checkmate", 1967). Other notable appearances included the recurring role of science writer Harcourt Brown in the ABC serials, Pathfinders to Mars and Pathfinders to Venus, which were sequels to earlier serials; Target Luna and Pathfinders in Space. He appeared as Arbitan in the Doctor Who serial The Keys of Marinus (1964). Coulouris was married to Louise Franklin (1930–1976) and Elizabeth Donaldson (1977–1989) and was the father of computer scientist George Coulouris and artist Mary Louise Coulouris. Coulouris died in London on 25 April 1989, of heart failure following Parkinson's disease. In Me and Orson Welles (2008), Richard Linklater's period drama set in the days surrounding the premiere of the Mercury Theatre's production of Caesar, Coulouris is portrayed by Ben Chaplin. George Coulouris's Broadway credits are listed at the Internet Broadway Database. A Day to Remember (1953) as Foreign Legion Captain. ^ "George Coulouris". 1989. Retrieved 14 August 2007. ^ George Cououris, Internet Broadway Database. Retrieved 12013-12-28. ^ "Ten Best 1941". National Board of Review Magazine. Vol. XVII no. 1. National Board of Review. January 1942. p. 6. Retrieved 3 February 2016. ^ a b Phil Davison,Mary Louise Coulouris obituary, heraldscotland.com, 17 February 2012. ^ McCarthy, Todd (6 September 2008). "Film Review: Me and Orson Welles". Variety. Retrieved 7 September 2015. Wikimedia Commons has media related to George Coulouris. The George Coulouris Archive, material related to the actor, compiled by George Coulouris, jr.